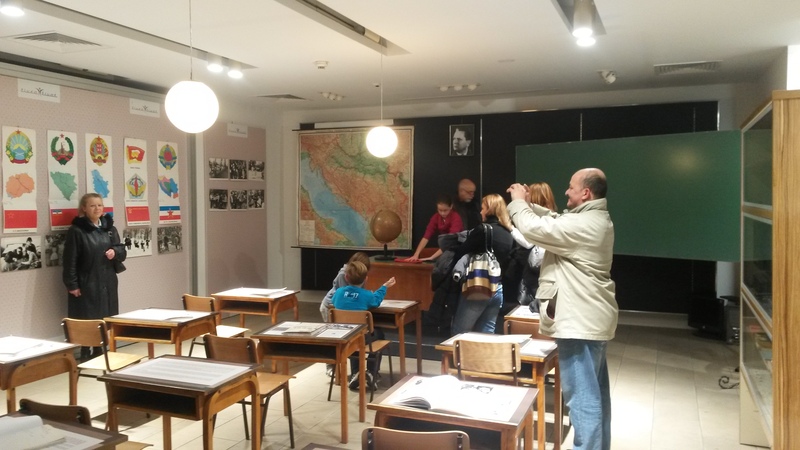 Belgrade is hosting two very different exhibits these days, just a few meters apart: The exhibition Bogujevci—A Virtual History was opened with much public attention, it was less the few protesters who opposed the exhibit, but rather the visit of Ivica Dačić. Even now, a few policemen in front of the exhibit and out on the street keep a watchful eye. Otherwise, there is a steady trickle of visitors… just down the road another exhibit just opened, called Živeo život, a second exhibition about “what we lost and brought with us from Jugo”. Here, unsurprisingly, a much larger number of visitors listens to Yu-Music, marvels at sports stars of Yugoslavia or looks through the Yugoslav supermarket. 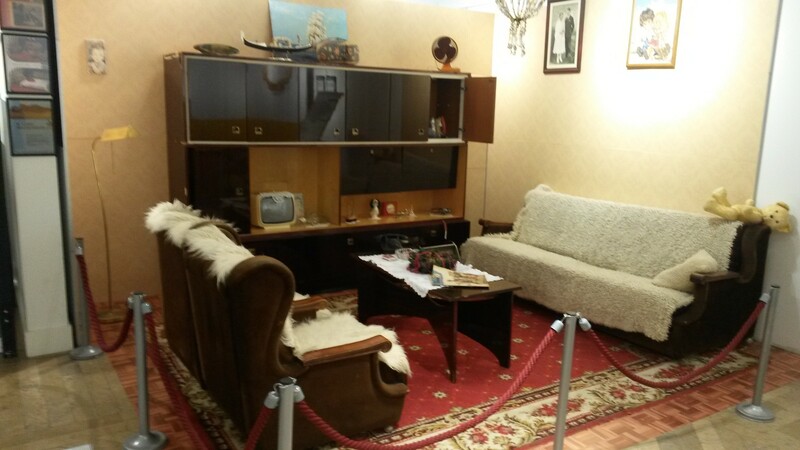 Both exhibits give a central place to a living room, complete with couches, TV, dark brown wall unit and kitschy decoration. In both, they are reminders of the past. 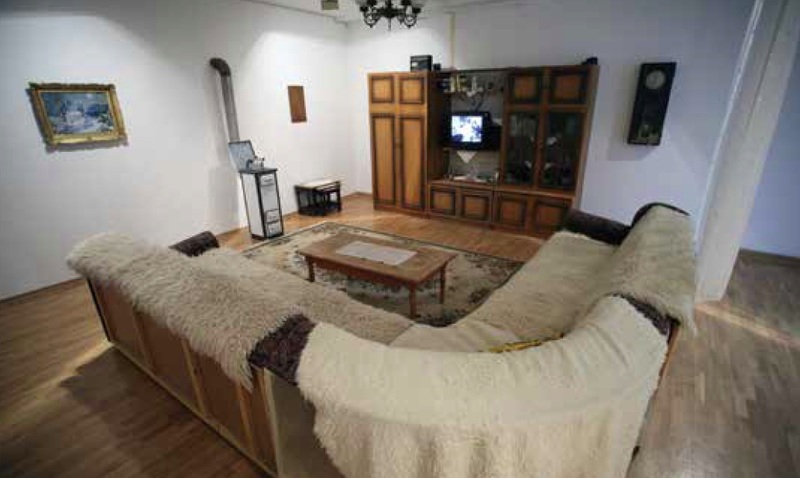 The first represents the home of the Bogujevci family in Podujevo before most family members were killed in 1999, the second is generic living room of Yugoslavia. Both exhibits try to take historic events out of the larger political narrative of grand events and big politics to a personal level–literally into the living rooms. 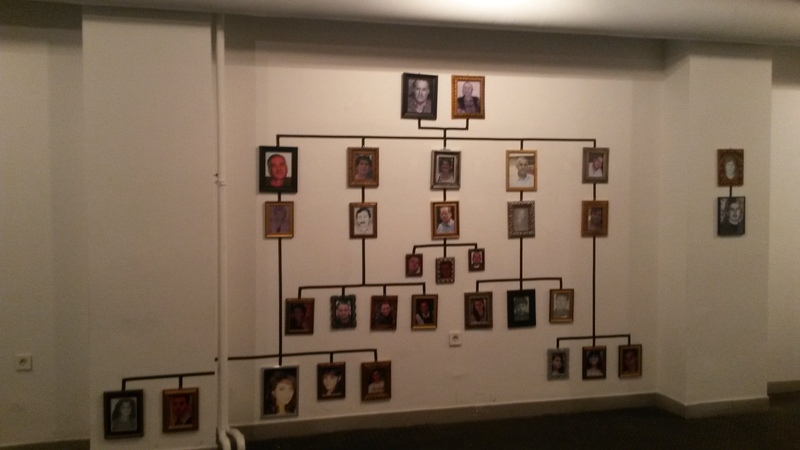 The exhibit about the Bogujevci family is neither pathetic, nor does it provides for a grand narrative of the wars. It simply shows the consequence of a war crime on a family and the very personal efforts of the family to see some of the perpetrators punished. The exhibit is testament to their effort to remind the public of the crimes. The “Live your life” exhibit instead offers an escape from the present. 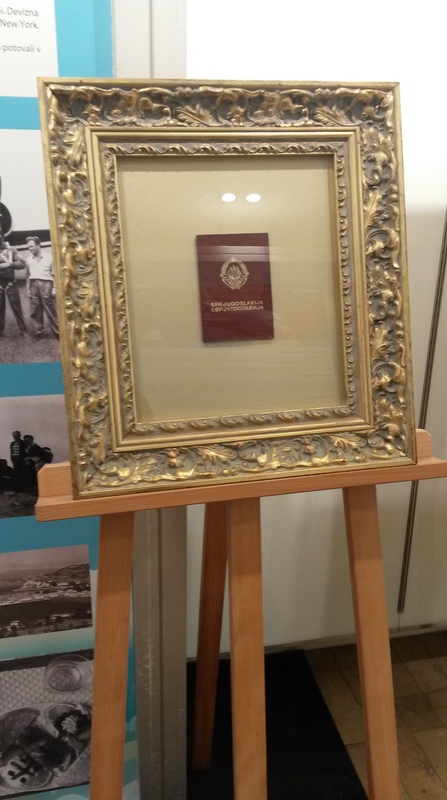 It puts the red Yugoslav passport into a golden frame, and presents the glories of Yugoslav life and consumerism with little irony or critical narrative. For visitors, this is the opportunity to put on the pioneers’ cap and scarf, step on a vespa and listen to Yu-music. There is no mention of the inflation, the shortages, poverty, or the absurdities of the political system. Where the House of Terror in Budapest and similar exhibits try to paint a picture of Communism as a period of pure horror, this exhibit does the opposite by mixing personal nostalgia with the memories of a country gone by. These two exhibits shed two very different perspectives on the past and how large events effected everyday life.